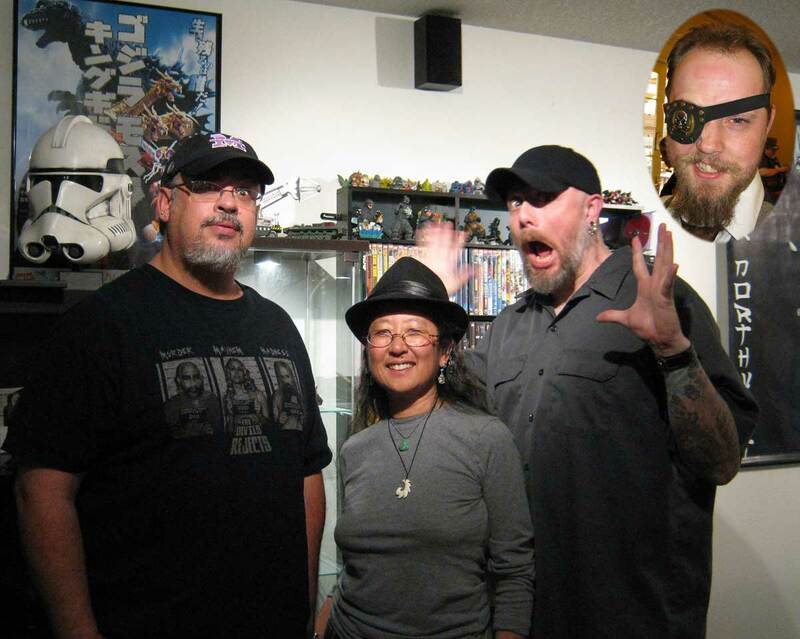 Jeff, Cindy and the disembodied head of Justin sit down to talk about Yog Monster From Space (aka Space Amoeba) on this month's Daikaiju Discussion episode! 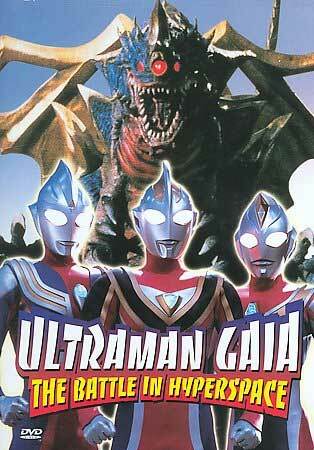 In this very special episode of the Kaijucast, we are celebrating. Kind of … Ok, not really celebrating, but for my birthday, I got a new mixer and because of that I’m still tweaking the buttons, knobs and sliders. I think it sounds a lot better actualy, but let me know what you think. In this particular episode, we take a close look at the 1970 film, Yog, Monster From Space (otherwise known as Space Amoeba). The film is enjoyable, and actually I think it deserves a little more respect and notoriety than it typically gets, but it’s not in the upper echelon of kaiju films. The “guests” in the studio with me tonight were Jeff of Horror Holocaust, Cindy (who was one of my first guests and continues to be a Daikaiju Discussioneer) and Justin of the Going Last Podcast. I don’t know if we were tired or we were really enjoying the movie, but there was a lot less ribbing and we didn’t livetweet this one (which I didn’t even realize until I was typing these notes). D’oh. Not much in the way of news tonight, but there are some cool local events and of course I played music. 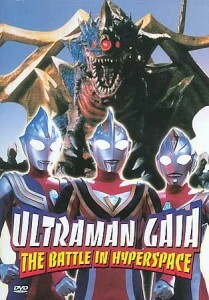 Our next film (for October) has a doozy of a title: Ultraman Gaia & Ultraman Dyna & Ultraman Tiga: The Battle In Hyperspace. This was released on DVD by Image Entertainment in 2004. I actually don’t own this one. When Image out this on DVD, I chose to buy the other movie. I haven’t done a lot of research, but I’m not sure where to buy this one (suggestions are welcome!). If you already have this, I hope you can join us in spirit for this 2002 Ultra flick. Just make sure to email your thoughts questions and reviews with a subject heading of “Daikaiju Discussion” so that I can easily find your “homework”. Thank for listening and helping the show out – I’m hoping that there will be a number of audio improvements over the next few months. Speaking of, if there is a notable difference in this episode, shoot me an email and tell me what you think! Until next time, ja mata!